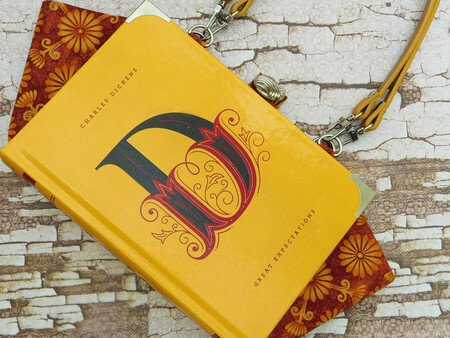 What would Miss Haversham think of this Novel Bag - highly elegant or a little eccentric? Would Estrella love or reject it? Will it be the centre of attention when you carry it or will it compliment any outfit? 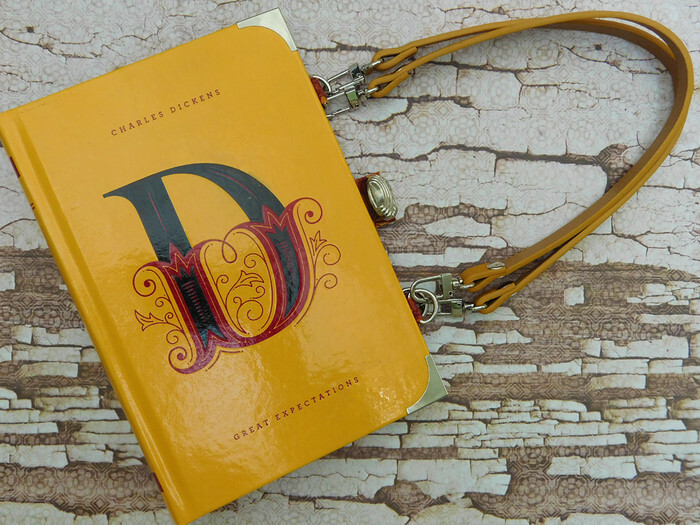 Either way, this handbag has been hand-crafted from a pre-loved copy of Dicken's celebrated classic, Great Expectations and is now a stunning one-of-a-kind item. 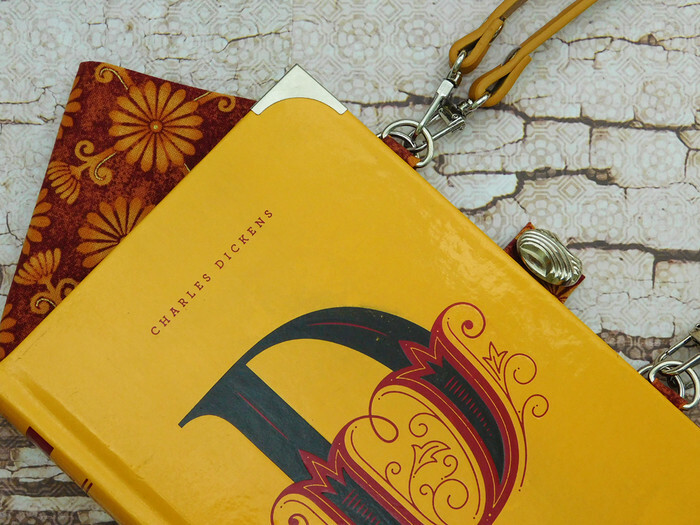 Found languishing on the shelf in a secondhand shop, it is now transformed with a beautiful, yet slightly haunting lining fabric, and leather handles made from an upcycled belt. 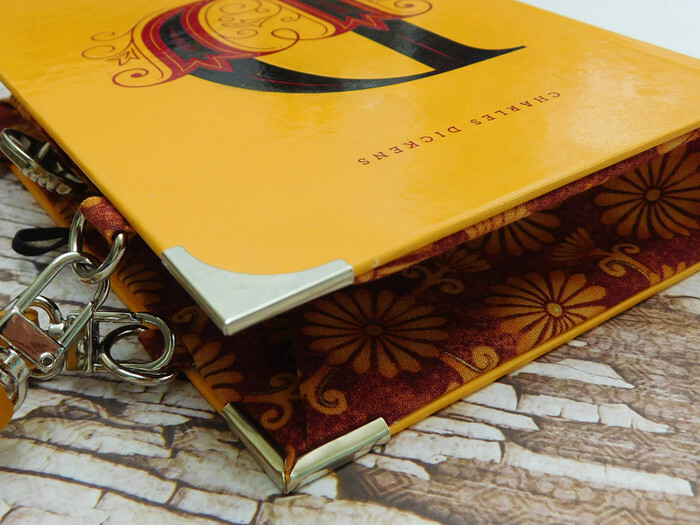 Its edges are protected with gold book corners and is finished off with an ornate button. 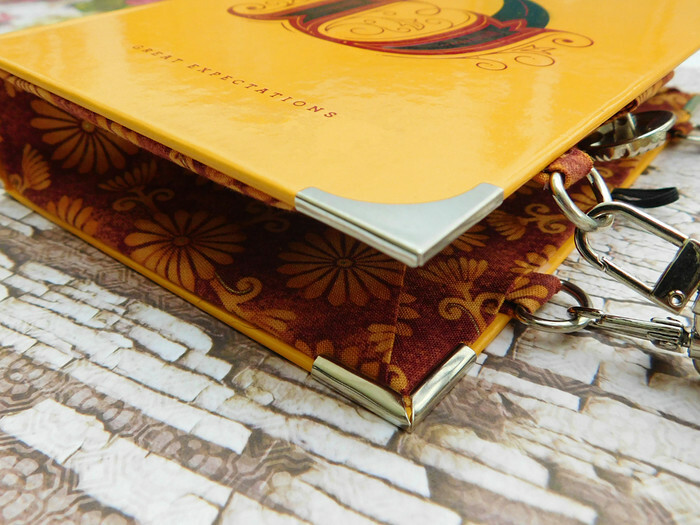 It has a reinforced spine and in measuring 23.5 x 15.5 x 3.7 cm (9.25 x 6.1 x 1.45 in) is able to carry your phone and other small items. 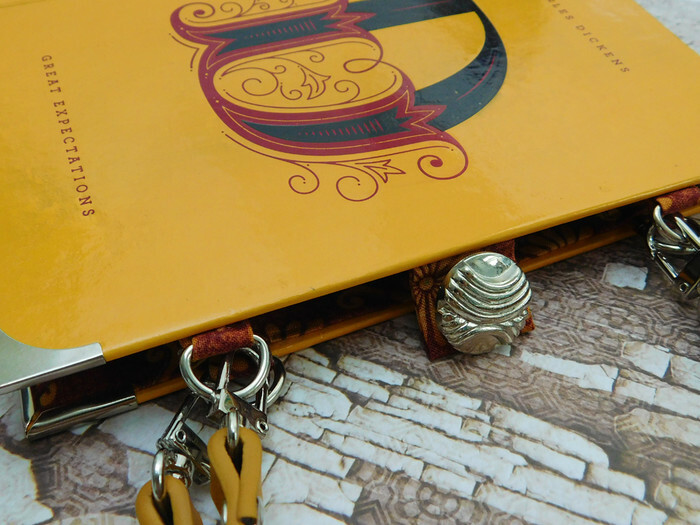 It has gold findings and closes with an elasticised loop and button. This utterly unique, handmade bag is the perfect gift for any fan of Dicken's work or as a little treat for yourself. Upcycled Book Club is situated in Brunswick, Victoria. If you are in the area, convo me about a local pick up and avoid paying shipping costs.